Gene: Please give us a brief overview of your background and how you got started in this industry. 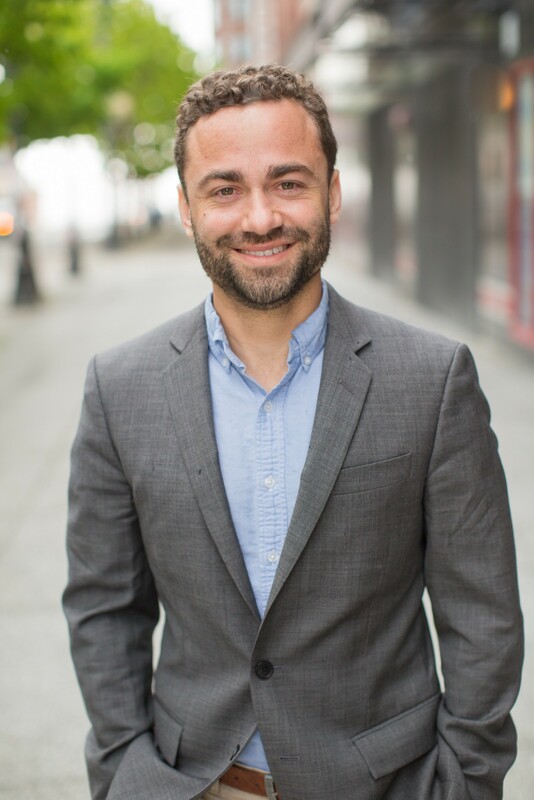 Matt: I am Matt Oppenheimer, the CEO and co-founder of Remitly. Remitly is the largest private digital remittance company in the U.S. helping customers transfer nearly $4 billion in annualized volume around the world. The inspiration for Remitly most poignantly came when I was working for Barclays in Nairobi, Kenya as the head of their mobile and internet banking initiatives. It was during that time in my career that I saw the numerous hurdles that consumers have to face when they try to send and receive money from overseas — high fees, slow transfers, and little security. I was drawn to the global impact of what a transparent and digital remittance service could have on my Kenyan friends’ many of whom relied on remittances for their livelihood. When I left Barclays, I started to work on a digital solution to the global remittance problem immediately as an Entrepreneur in Residence at Highway 12 Ventures in Idaho and then we officially launched Remitly from Techstars in Seattle. Since then, I have been named EY Entrepreneur of the Year in 2016 in the Pacific Northwest and recognized as a Puget Sound Business Journal 40 Under 40 honoree. The amount of money you need to pay payments partners and banks when a customer brings the remittance process. The only way Bitcoin would work for remittances is if Bitcoin became a global currency. Volatility aside, unless everyone in both developing nations and developed nations are using Bitcoin as a global default currency — including using a digital currency for payroll, restaurants, person to person payments, etc. — Bitcoin becoming a global default currency is very unlikely. Many developing nations have large populations of people still unbanked (like 70% of the Philippines unbanked) so we’re a long way from this reality. When you step away from the BTC value and look at the usage, it’s alarmingly small. Coindesk has some great reports on this but you’ll see that most people just use cryptocurrencies as a store of value and/or speculation. Matt: There are the more traditional and older remittance companies in the space like Western Union and MoneyGram. Remitly fits into the new players that are actually working to change the industry, this would include other players like Transferwise, Xoom, and WorldRemit. When we first started Remitly, we focused on building the best remittance product on the planet and then expanding from a strong base. We only focused on the US to Philippines flow of money first for nearly 3 years. During that time we worked on getting the ‘full stack’ of the product right and now we’re expanding from a strong base with an enormously bold vision. I’d argue that Remitly investor Jeff Bezos did this when he focused on books in the early days of Amazon. There’s no replacement for customer and product focus in the early days of a company. Matt: Remitly was first established in 2011, and we’ve quickly become a well-known player in the space due to relentless focus on the customer experience and our rapid global expansion. Today, customers can send money from four countries: United States, United Kingdom, Australia, and Canada. And receive money in ten countries through our global network of over 40,000 bank and cash payout partners: Philippines, India, México, Colombia, Ecuador, El Salvador, Guatemala, Honduras, Nicaragua, and Peru. We’ve also grown to over 500 employees worldwide in four locations: Seattle, London, Manila, and Nicaragua. Matt: Bitcoin is clearly the monster in the room. After Bitcoin, Ethereum comes the closest to Bitcoin at over $36 billion, but the rest drop below that in value dramatically. The entire digital currency space is still considered a big TBD — but the rapid growth is interesting to watch. With any investment, It’s very important to understand the risks of investing in Bitcoin. Matt: The future of Bitcoin is not likely in the payments space, but it is an acceptable store of value and working well for some who invested early on. Blockchain is quite the buzzword used pretty loosely but I think it has potential. Similar to how people use buzzwords, it’s important to break through the buzzwords and start to look at how this technology adds value customers. We can’t predict the future. But with any investment, it’s important to remember that buying Bitcoin does come with risks. Matt: I predict we’ll continue to see countries either ban or try to implement regulation on cryptocurrencies throughout 2018. In the U.S., we’ll continue to see the SEC issue strong statements warning about the ways crypto-currencies can be used improperly. Gene: What are your 5 tips that you would give to an inexperienced investor? Why? Focus on Customers: Find a leader who is passionate about their customers and cares more about delivering a good experience above all else. Companies that fail get caught up on the vanity metrics and premature opportunities for expansion instead of the customer. Focus on Capital: Scaling a company that isn’t customer-centric wastes capital. Investors should be wary of companies that have great PR but whose customer experiences are sub-par. Focus on Community engagement: Great leaders let their passion for the customer show, by standing up for their customers and getting involved in issues that will affect them. Focus on Culture: Good leaders prioritize their company’s culture. Establishing a culture around your customer and product makes it easier for your teams to adapt to change. Gene: What is the most innovative project that you have ever worked on?Matt: Without a doubt, Remitly. There is a reason that money transmission hasn’t been disrupted in over 100 years. The money transmission compliance/licensing, risk systems, capital requirements, international banking network, product complexities, and finally marketing/trust building with customers are all very complex. It’s hard to know where to start because you must do them all at the same time, which is hard. While these challenges were unique to Remitly, huge challenges are part of every entrepreneur’s journey. If it was easy, 100 other people would have done it. Matt: My grandmother, Jane Oppenheimer. Despite going through everything from having Polio when she was a teenager to serving in the Red Cross during World War II, she was always inspiringly optimistic. Her signature phrase was “It will all work out”, which is important to remember as an entrepreneur. She also taught me to find something you’re truly passionate about and then don’t give up trying to solve it.